High injury rates amongst sheep farmers and shearing gang workers has led the industry to clean up its act with the launch of an online woolshed safety application. Tahi Ngātahi is a collaboration between Federated Farmers and the New Zealand Shearing Contractors Association, with financial backing from ACC and the support of WorkSafe. The app is based on a series of videos featuring respected industry shearers and farmers. Federated Farmers’ meat and wool chairman Miles Anderson said improving health and safety practices provides benefits for farmers and shearers by increasing production and reducing accidents. In 2017, there were 755 work-related injuries among shearing contractors, including shearers, woolhandlers and wool classers resulting in 9300 working days lost to the industry, according to ACC. The same year sheep farmers suffered 4700 work-related injuries, resulting in 35,000 days lost to the industry. 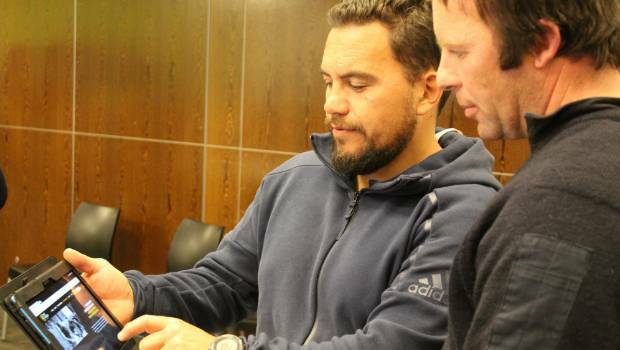 Shane Ratima, of the New Zealand Shearing Contractors’ Association, left, shows farmer Stuart Fraser the new online woolshed injury prevention application, Tahi Ngtahi. Last year Taranaki had the highest number of shearing-related injuries at 62 per 100 workers, while Southland had the fewest injuries with 10 per 100 workers. Canterbury recorded 41 per 100. 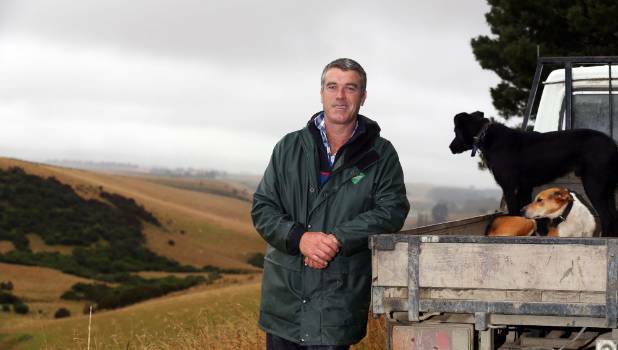 North Canterbury shearing contractor John Philp, of Waikari, supports Tahi Ngātahi and said his company was focused on improving health and safety practices which had improved production and teamwork. “A lot of it is common knowledge and common sense. It is just bringing it to the fore and making people aware. It is giving the guys that work for us a bit of an insight. It brings them together to say this is what we are doing and we are doing it together,” Philp said. Philp said farmers he worked for had made improvements to woolsheds since health and safety legislation was updated in 2015, but major improvements took time, especially where it involved updating expensive equipment. For shearers, the programme emphasises the importance of eating and hydrating well, strengthening and stretching exercises, and getting enough sleep. Federated Farmers’ meat and wool chairman Miles Anderson says improving health and safety practices provides benefits for everyone in the wool industry. Tahi Ngātahi project manager Trish Ryan said the videos taught everyone about their role in creating a safe workplace. Most injuries in and around the woolshed were preventable, including common injuries like sprains, strains and wound injuries. Some of these incidents could be prevented by having better maintained equipment, better prepared sheep, or by everyone taking time to rest and maintain their body for the physical work they do. “Tahi Ngātahi means one, together and we believe we can prevent injuries by helping the whole team understand each other’s roles in and around the shed,” Ryan said. Farmers, shearers and their staff who complete the programme receive a certificate. The Tahi Ngātahi website went live this month. The programme will be officially launched at the Canterbury A&P Show in November.